Hi everyone! It’s Stephanie from stephlovesben back with another super easy and super cute DIY project. 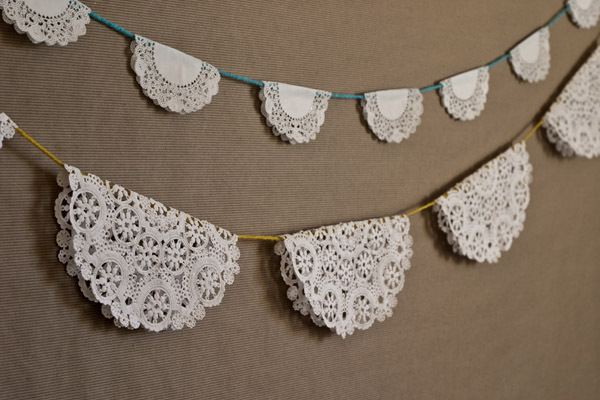 I don’t know about everyone else, but I am not even close to tired of the doily trend. I absolutely love them! And, one of the best things about them is you can get a pack of 50 paper doilies at the grocery store for less than $5! 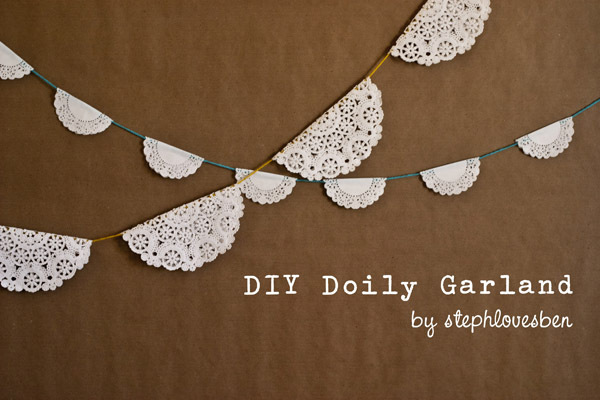 Today I am going to share with you how to make a paper doily garland. It is so quick and easy, you will hardly even need instructions! 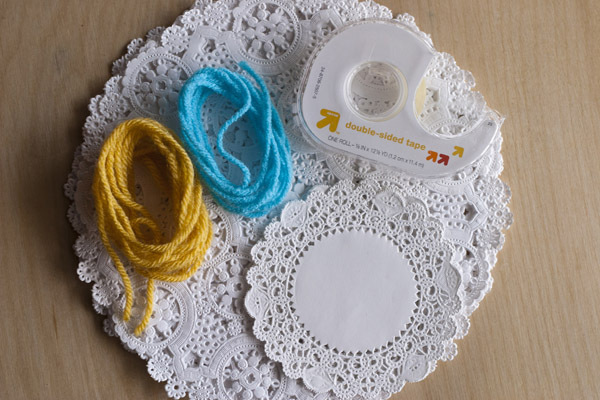 Then, all you have to do is measure out how much yarn you want to use, fold each of your doilies in half, place them on the yarn and then put a small piece of double stick tape between the fold to hold them together. 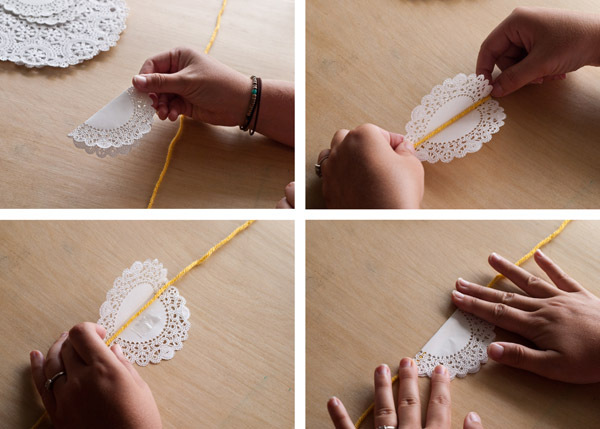 Repeat with as many doilies as you want on your garland. There you have it…one of the cutest, easiest, and fastest projects ever! It's always the Simplest ideas that look the best, this is lovely! I wanted to let you know I referenced this tutorial in my recent tea party roundup post! Oh Sweet Summer: Ice Cream + Happiness.